Stop worrying about poor service, and poor quality equipment. 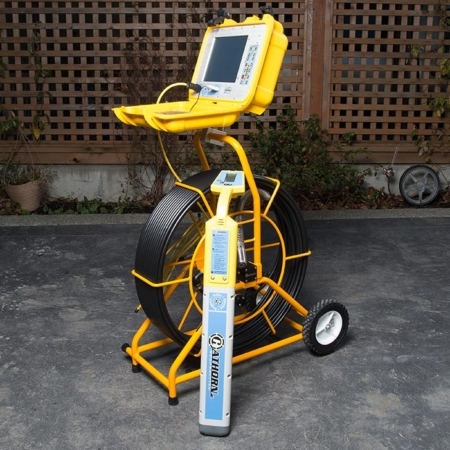 The Drain Camera Shop puts customers first while offering user-friendly and technologically advanced sewer inspection cameras. We don’t just push the deal of the month. 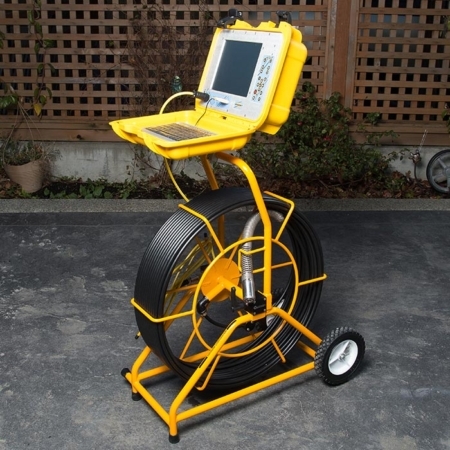 We’ll learn about your specific needs so we can apply our expert knowledge to helping you choose the best camera for the job as the top CCTV sewer inspection company. User-Friendly: Record directly to the hard drive or to a USB stick. You can even transfer media easily between drives or to a computer. Durable: The push camera system we offer can endure the toughest situations thanks to their precision machined aluminum panels, a spill-proof keyboard, and a rugged stainless self-levelling camera. Engineered and Tested: We know the cameras are the best because they’ve been designed and tested to make sure they’re the best in the market. Local Servicing: You won’t need to send equipment away. We have service centres throughout Western Canada and the United States. Quick Turnaround Time: Get to work sooner rather than later. Expect short turnaround times with our local and personalized service. Training and Demos: We want to make sure the equipment you purchase is exactly what you need and that you know how to use it. That’s why we offer training and demos to our customers. Capable of Customizing Equipment: We can customize packages to suit your unique needs. Support After the Sale: We don’t go away after you buy from us. We’re there to support you and your business when you need us. Call today and talk to our amazing staff! The Drain Camera Shop has the most knowledgeable staff in the industry. From small business owners, to corporate owners, to city workers; our staff is ready answer your questions and find the best solution for your needs. Play, pause, record, and view the images on an 8.4” monitor. Record directly on the 320 GB hard drive or to a USB. See every detail on the 12.1” HDMI monitor that’s also readable in the sunlight. You’ll get plenty of work done with its 4 hour battery and built-in charger. The G-Series doesn’t just work with Hawthorn products, it’s compatible with many different brands of reels as well. Produce professional level video surveys and use the input/output jacks to record on your own personal recording device. 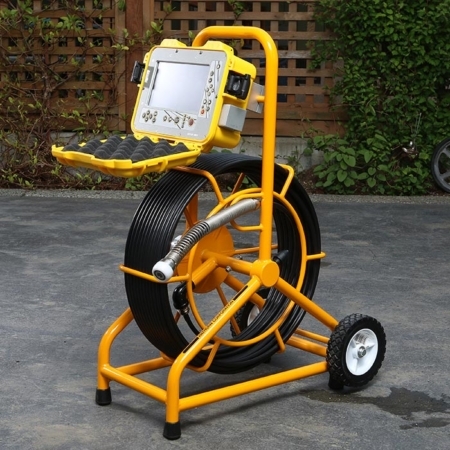 The standard inspection reel is traditionally-sized with cable lengths up to 400 feet. The durable mid-size inspection reels are perfect for compact jobs. This reliable mini inspection reel comes with cable lengths up to 200 feet, but a drum size of only 16.5” by 5”. The interface system allows sewer push camera reels to connect with any laptop computer through a USB port. The perfect choice for plumbers who want an economical yet professional quick push camera. Designed for video inspection systems, the Deep Trekker increases the efficiency of your crawler.